DC born Rhythm and Bass Guitarist Tony Harrod has been performing with a band since his 9th grade girlfriend convinced him to play with a group at a social club dance. The band (The Mar-Tribs), had three solid songs. Two fast and one slow; "Baby Baby Don't Cry" by the Miracles. This performance launched his professional career, but interestingly enough, it was not his first public performance. Tony started his musical career at a very tender age on a Mickey Mouse wind-up guitar, but the artist in Tony would not allow him to wind it. He strummed and sang "Blue Suede Shoes" while standing on the front porch of his house and people walking by would give him money for his performance.. Tony knew he had a career in music ahead of him. The first instrument Tony attempted was the trumpet, but it did not work out for him. He began playing guitar at age 13, long after the Mickey Mouse wind-up. He received his first real guitar at 17, and he almost immediately began playing with a band. In the beginning, Tony taught himself to play. He said he did not receive formal lessons until entering Junior High School. It might be said that Tony jumped into the deep end of the music pool and learned how to play on his own. His dedication contributed to the evolution of his music. He said his skills truly evolved while playing with the Mar-Tribs band. They were all evolving their music craft as a group, and they began to range farther a field. The band started going to New Port News Virginia to backup a singing group. The singing group broke up but the drummer, recognizing a gifted artist, asked if Tony wanted to make some "real money", so Tony began playing at cabarets and catering houses. Over time, Tony became the musical director for the band and moved the group into playing jazz standards, and began writing original songs. Feeling a need to expand his horizons, he left the Mar-Tribs to join the "Sounds of Us" band. The "Sounds of Us" would open for noted performers like "Millie Jackson" and "The Dells". Since the 70's, Tony has played with many bands. He is the consummate guitarist performing as a studio musician and with many local musicians. His repertoire runs the gamut, from Reggae tunes with "Englishman", to Jazz with Karen Lovejoy & The Lovejoygroup, and R&B with "One Nite Stand", Tony lays down the rhythm. 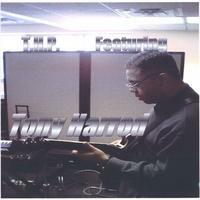 He released his own CD "THP" Tony Harrod Project on CDBaby.com in 2004. 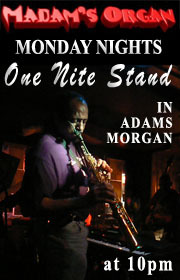 Tony can be seen and heard, performing at venues in the DMV (DC, Maryland and Virginia) area. tony harrod "tonys world is a ghetto win he solos"